Keyed Entrance Door Knobs are generally used on exterior doors, but sometimes used on interior doors where security is a concern. 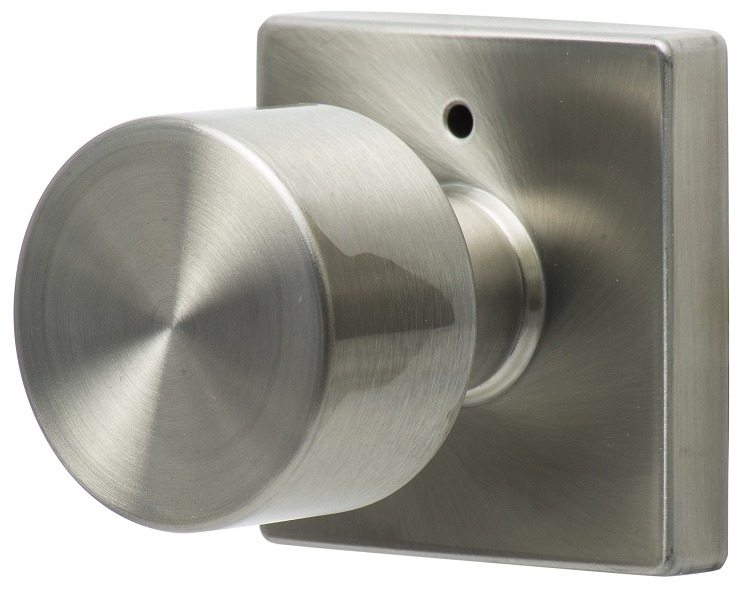 Sure-Loc keyed entrance knobs have a push pin lock on the inside backplate, similar to a privacy lock. On the outside there is a keyed cylinder. If the knob is locked from the inside a key is required for entrance. If you are ordering several keyed locks of the same brand we can key them alike for you. 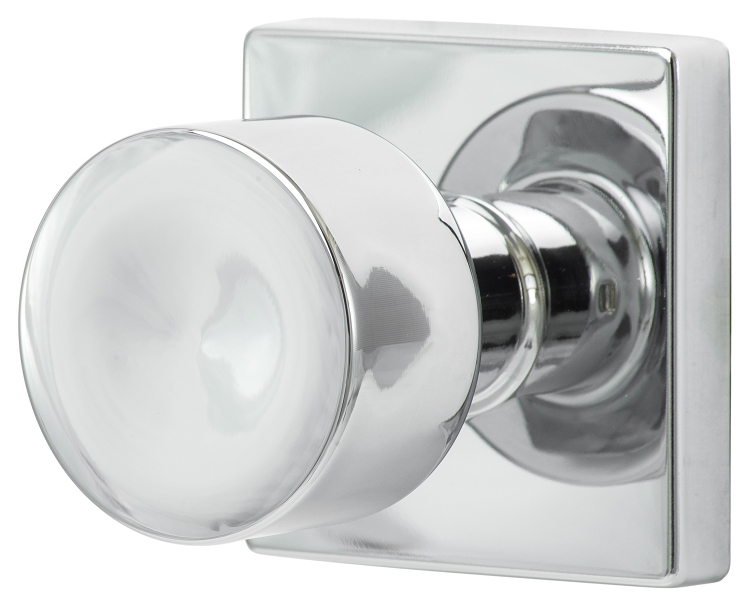 These doorknobs are similar to a number of others that were far more expensive. They are a great modern look and a very good value. 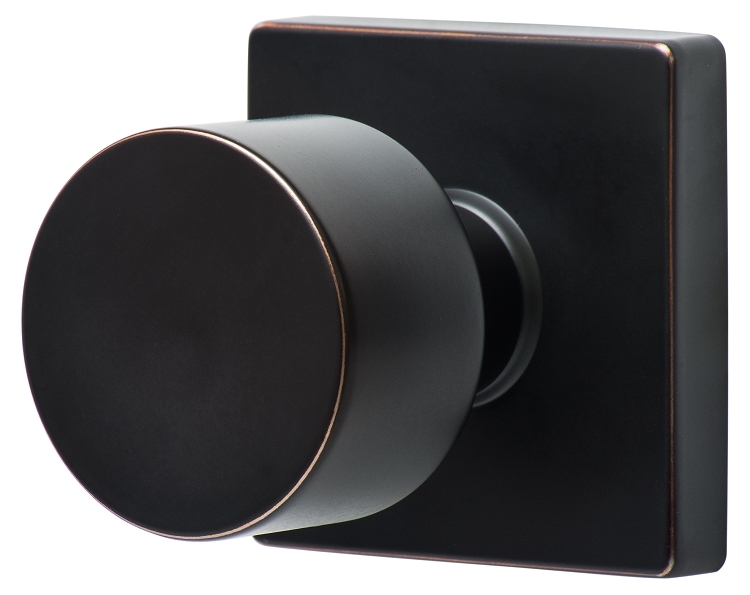 We LOVE these knobs! They are stylish, easy to install and beautiful. They are great quality, feel heavy in your hand like a more expensive knob without the price! 1. What are the dimensions of the rosette? 2. I would like to keep my existing latch mechanism in the door. The square hole in my latch mechanism measures ¼inch. Does the pin of this item will pass thru? The rosette is 2 9/16" Square. Can this knob be locked with a key, from the outside? 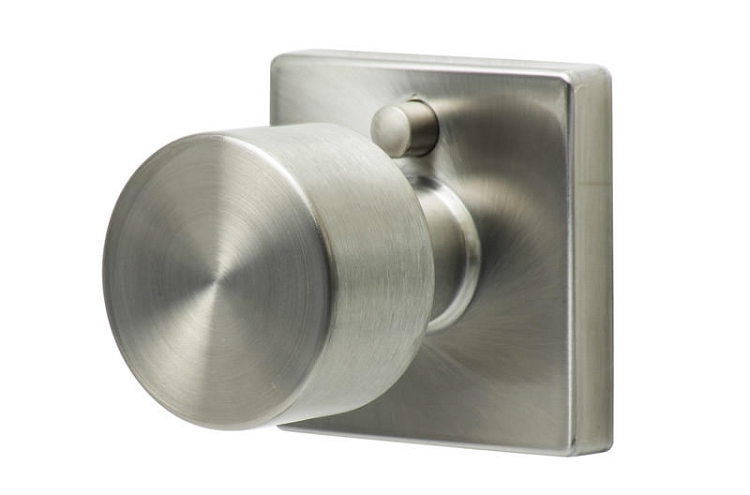 Will this knob fit a 1 & 3/8 " width door? this is for the inside of a bathroom door. I already have a doorknob on the other side. will it fit with a standard different knb? What is the dimension of the square rosette on the bergen door knob?